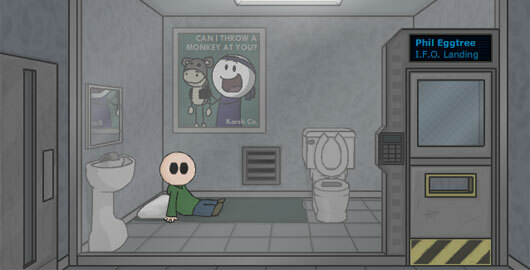 A Night In Crazyville is another Point’n’click Adventure game from MouseCity. And remember, what happens in Crazyville stays in Crazyville! 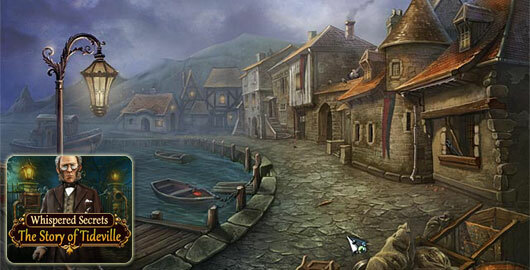 Uncover the mysterious past of a sleepy seaside village in Whispered Secrets: The Story of Tideville! You and your son, Tim, recently moved to the small town of Tideville to make a fresh start. One peaceful autumn evening, you arrive home just in time to see Tim vanish into thin air! Armed with only your wits and a cryptic clue about a scientist, you set out to find your son. In fact, people have been going missing for years. But who is behind it all? And what do they want? 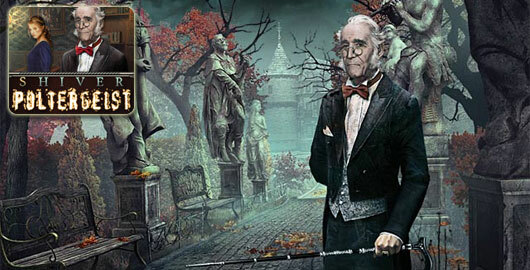 Unravel the town’s dark secret in this stunning Hidden Object game! Whispered Secrets: The Story of Tideville walkthrough! Ricardo Chellini’s life is incredibly dull and full of repetitive tasks that leave him unfulfilled. One day, however, he receives a letter informing him that he’s the sole heir to an incredible manor in England. Travel with Ricardo to his new estate and discover its terrifying history in Shiver: Poltergeist, an incredible Hidden Object Puzzle Adventure game! Free Falling is live! This game is the latest creation of IDAC, the team behind The Daydream, JOBpico, Bon Voyage, Strawberry Tomato and so many other popular Room Escape games! 04.19.12. Now available in English! After Old Factory, here is Balloon Adventure Escape, the latest Room Escape game from StoneAgeGames. Who is this Woman in White and where did she come from? Walter Hartright, a poor drawing teacher, finds himself in the middle of an inexplicable mystery. Somehow his future is intertwined with an elusive woman who harbors a dreadful secret. A secret so damaging her life is in danger! Explore Victorian mansions finding Hidden Objects, search for clues, uncover diabolical plots, root out the lies, and discover the truth in Victorian Mysteries: Woman in White. Play Mystery Masterpiece: The Moonstone. 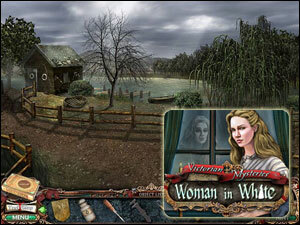 Victorian Mysteries: Woman in White walkthrough! Robot Wants Fishy is the third installment in the Robot Wants series, a retro sci-fi platformer where you gradually gain abilities letting you explore more of the space station until you finally catch a fish. “You’ll have to collect a variety of power-ups to get there, and there seem to be a few hundred aliens also standing in your way. If you liked the two previous ones, you won’t be disappointed! 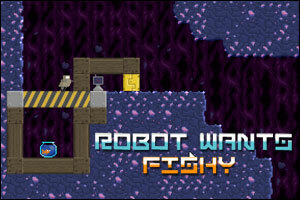 Robot Wants Fishy video walkthrough! Fans of Room Escape games, rejoice! Bart Bonte, the author of the Factory Balls puzzle series, has just released a new Escape game, A Bonte Escape. “You find yourself dropped in a strange room, but are you smart enough to get out?” Nice and easy! Have fun! A Bonte Escape video walkthrough! 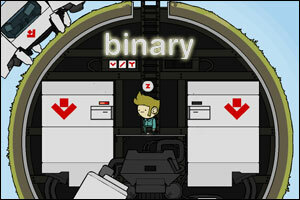 Binary is a very nice puzzle game from Ansel Lies. “Two supercomputers orbit each other deep in space, temporarily offline. 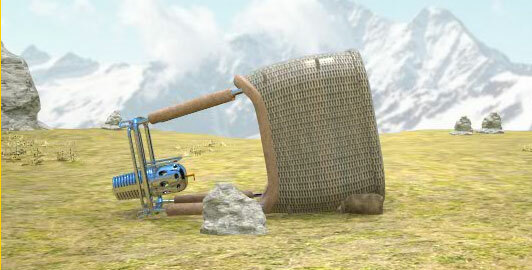 A blue-collar techie lands his spacecraft on the surface, and disembarks. His mission: to return power to all four cores and reactivate the data beam. After Perfect Balance, Perfect Balance – new Trials and Perfect Balance 2, here is Perfect Balance 3, the latest installment in the Perfect Balance series created by Ville Helin and Jyri Luukkonen from ttursas. The goal remains unchanged: rotate and stack shapes, and try to achieve perfect balance! 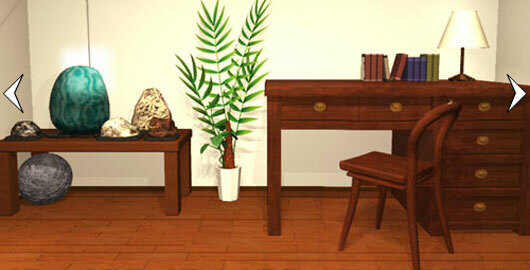 One by one, place all the objects on the playfield using your mouse. Press [A] and [D] keys to rotate the selected object. Can you balance all the new shapes in 60 new levels? 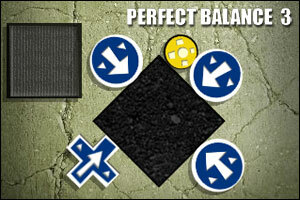 Perfect Balance 3 video walkthrough! 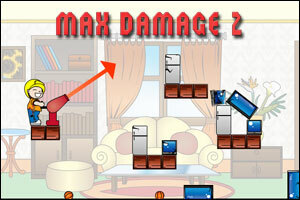 Max Damage 2 is the sequel to Max Damage, a puzzle physics-based game created by Gordon Simpson where your goal is to shoot cannonballs at stacks of fridges, tv’s, and microwaves to cause maximum damage. This sequel features 50 levels of various difficulty and is as good as the original! Max Damage 2 video walkthrough! Escape in Bali is the second Room Escape game created by Cabeza from Japan where you find yourself trapped in a room for an unknown reason. The exit door is locked. Look around closely, search for useful items and eventually Escape in Bali! Have fun! Escape in Bali video walkthrough! Secret Seekers – Lost Forest is the latest Point’n’Click adventure game created by Selfdefiant, the author of Super Sneaky Spy Guy. “You have been given a map of the lost forest. The village was constructed in the trees to keep hidden. 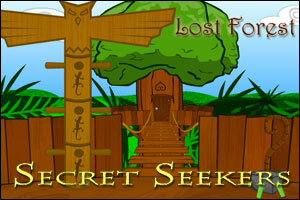 Secret Seekers – Lost Forest video walkthrough! Escape the Zombies is another Room Escape game from StoneAgeGames. “You find yourself in an scary, old abandoned house. It is surrounded by zombies. You need to escape to the car but first must collect the hidden objects, combine them and find clues how to escape!” Easy! Have fun! WARNING: PG 13. Not suitable for children! Escape the Zombies video walkthrough!